In May of 2018, the administration announced three executive orders that chip away at due process and collective bargaining rights for federal employees and impede employee representation at the job site. Within three business days of issuance of the orders, AFGE filed a lawsuit in the U.S. District Court for the District of Columbia. We won that suit, but the fight isn't over. The administration is appealing the judge's decision, and is actively working to put the union-busting, democracy-busting executive orders back in place. On April 4, 2019 we're headed back to court to fight the appeal. We need you and your coworkers to show management and the administration that our union isn't going anywhere. Make sure to wear red this Thursday April 4th! 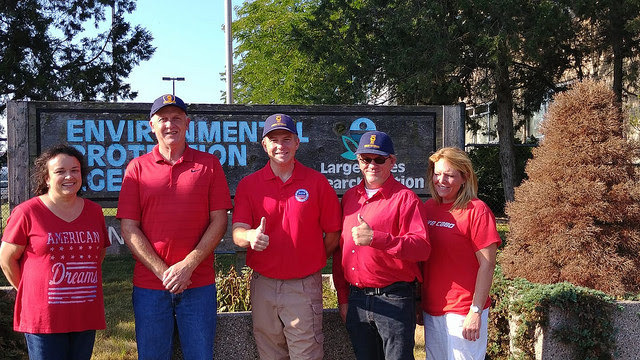 When management and the administration see worksites full of government workers wearing red, it will be a powerful display of our strength, solidarity, and willingness to fight the administration's outrageous attempts to bust our union and break our democracy. It is up to us to keep working for what is right - and to do that, our union has to be all in. That's why we're wearing Red for Feds on Thursday April 4th, and sharing pictures of our red on social media with the hashtag #RedForFeds. Please make sure that you are not on government time or government property when you take or share your photos. If your employment requires a specific uniform or dress policy, be mindful of compliance. The wearing of red is not for, or against, any candidate or party, and is not a violation of the Hatch Act. By joining together and raising our voices as a union family, we know we can do great things. Thank you for all that you do. We did it! 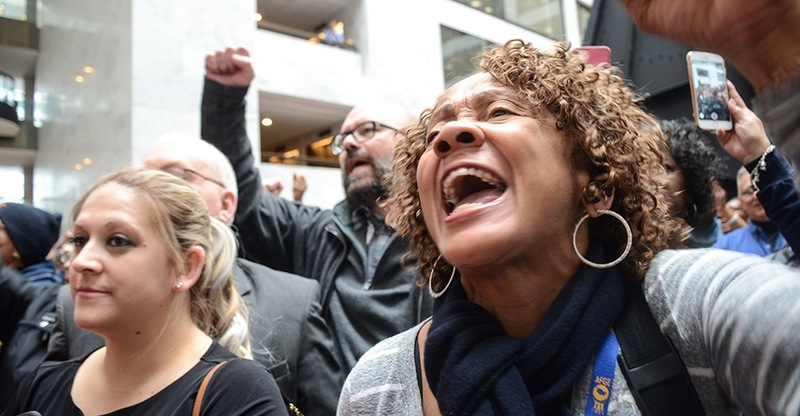 The collective actions of union members, labor allies, and sympathetic lawmakers have averted another government shutdown. Less than 48 hours before the government was scheduled to shut down again, the House and Senate passed a bill that funds a dozen agencies ranging from TSA to the FBI through Sep. 30, 2019. The bill also includes a 1.9% pay raise for federal employees this year. President Trump signed the bill into law Feb. 15. 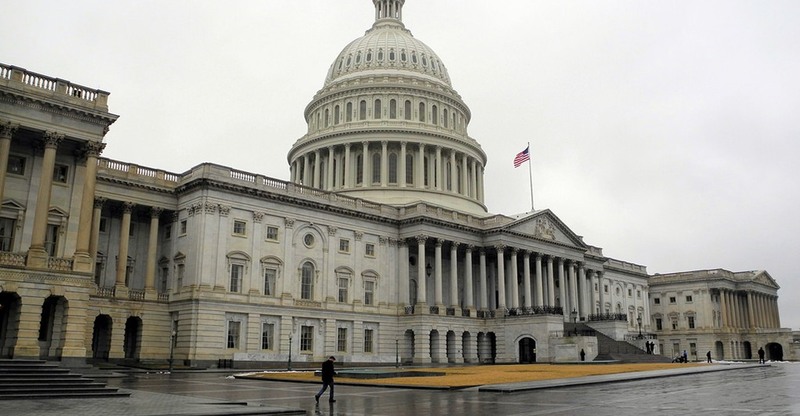 The funding package averted another government shutdown that most members of Congress opposed, and federal employees dreaded. The last shutdown lasted 35 days, wreaked havoc on employees’ finances, and killed morale. AFGE thanks House Speaker Nancy Pelosi and Senate Minority Leader Chuck Schumer for leading us through this ordeal and for being staunch advocates for federal employees everywhere. We extend thanks to every member of the bipartisan conference committee who helped craft the budget language, and to every member of Congress who voted to keep our government open. We want to especially thank Sen. Chris Van Hollen of Maryland and Sen. James Lankford of Oklahoma for fighting to get federal workers a well-deserved pay raise. By standing together, AFGE members have a stronger voice when defending your pay, retirement and job security. Join AFGE and ask your coworkers to join AFGE today.